minxeats - recipes, recaps, and restaurant reviews: Lego-licious! 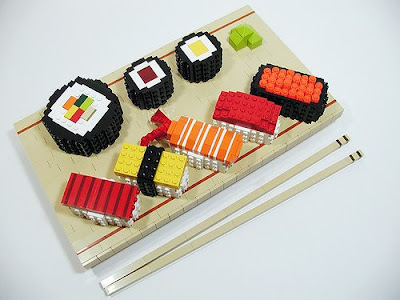 Check out "Big Daddy" Nelson's Flickr collection of photos of sushi he built from Lego toys! As the youngsters say these days, "neat-o" "groovy" "gnarly" awesome!